My analysis of the 2016 U.S. presidential election outcome, first posted on this blog, has been republished by the antipodean magazine of leftist discussion, Australian Options. If you want to read it (again, and now with illustrations!) you can download the pdf here. Originally published at the anthropology blog, Savage Minds, responding to their call for short commentaries on “anthropology in the Trump era”. In late January, President Trump signed three Executive Orders concerning immigration. The “Muslim Ban” galvanized attention, from protests and Op-Eds to legislative action. Given the patently unconstitutional practices sanctioned by that Order, the maneuvers promised by the other two—including increased agency powers to profile and criminalize immigrants, mass raids, detentions, and deportations—possibly appeared less immediately pressing. The qualifiers here are alarming and counterproductive. Racialized groups of people have been systematically criminalized, exploited for their labor, and marginalized in the United States since its founding. Terms like “law-abiding,” “hard-working,” and “well-integrated,” are furthermore malleable to pernicious ends, and frequently deployed by right-wing voices. As scholars, teachers, and activists, we must refute, not echo, the “good” vs. “bad” immigrant rhetoric of this (and earlier) administrations. As anthropologists, we must reflect critically on governmental categorizations of people, not take them for granted. We must expose the xenophobic constructions at the heart of each policy statement. As Trump makes good on his promises, we must advocate for all immigrants—regardless of taxes paid, skill sets, or ascribed work ethics; regardless of faith, language, or family ties; regardless of records, status, or papers. Lines drawn in the sand around state-approved “deserving” immigrants will only fortify the foundations of future border walls. Now available online: a short review of the recent UK hit film, Pride, which was originally published a few months ago in Red Pepper magazine. I note that, despite some critics’ discomfort with Pride‘s feel-good tone, the filmmakers successfully make a few salient political points. It offers lessons on solidarity-building beyond identity-based justice organising, and an indictment of recent attempts to depoliticise LGBTQ rights movements. 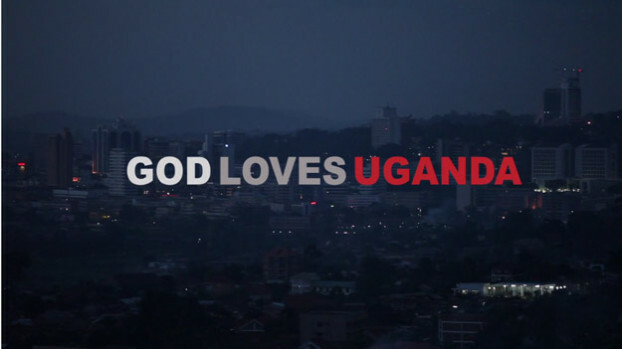 All of which, I believe, is worth celebrating. I recently co-authored a short article in anticipation of this weekend’s Lavender Languages and Linguistics Conference for Anthropology News. In it we preview the Conference – now in its 22nd year – and argue why queer language matters, and why queer people themselves must remain at the center of conversations about LGBTQ realities. Read it here. The conference takes place at American University, February 13-15, 2015. For more information, see the conference page. 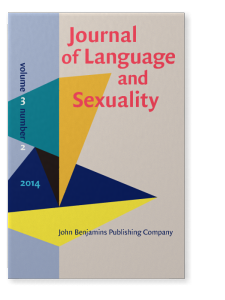 Happy to announce that my article: “‘God loves you and It Gets Better’: Ideology, deixis and agency in an anti-homophobic bullying viral campaign” has been published in the Journal of Language and Sexuality 3:2.